Russia is the world’s largest country in terms of area. It stretches across two continents (Europe and Asia). From east to west, it spans 6,000 miles (nearly 10,000 kilometers, and nine time zones. It stretches 2,500 miles (4,000 kilometers) from the polar regions of the north to warmer climates in the south. Russia has a population of more than 144 million, but only 43,317 are Seventh-day Adventists. That is one Adventist for every 3,332 people. To Sabbath School teachers: This story is for Sabbath, Dec. 16. Click here for photos to share while telling the mission story. Lyubov [pronounced: LYuw-BOWF] lives in Russia. [Locate Russia on the map.] Her name means “love” in Russian. Isn’t that a lovely name? 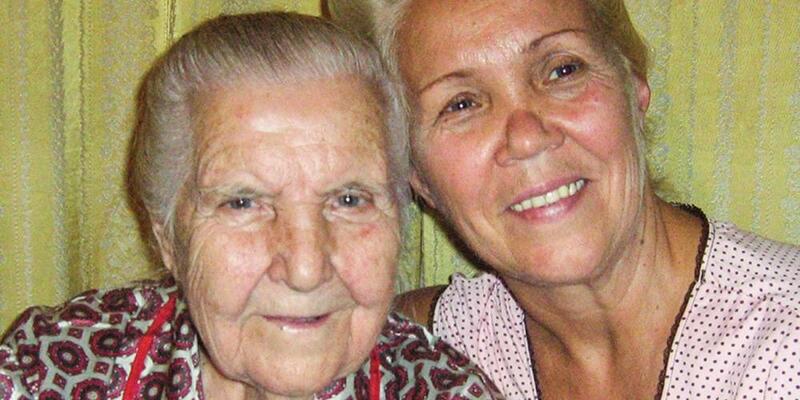 Lyubov has loved God for as long as she can remember. She attends a Seventh-day Adventist church and was taught to love the word of God since she was a small girl. Her mother set a good example for Lyubov, working in the church and the community to help others and share God’s love. Then her mother fell ill. The doctor said it was cancer and it was too late to operate. Lyubov’s mother was sent home to die. Lyubov was very sad. She took care of her mother, and they prayed together all the time. Lyubov’s mother constantly reassured Lyubov, saying: “Don’t worry. Don’t cry. Everything is according to God’s will. What is happening will prove to be a blessing to both of us.” Mother’s words always calmed Lyubov. Those words bothered Lyubov. She decided to serve God like her mother had. But first she wanted to be baptized. She asked the pastor to baptize her. Lyubov wrote an official request for baptism and showed it to her mother, who smiled as tears trickled down her cheeks. Lyubov’s mother didn’t die. She lived a long life, for God had healed her. Lyubov is convinced that her mother’s miraculous healing was a call from God for her to dedicate her life to Him. She said it reminded her about the truth of Jesus’ words in John 15:16: “You did not choose Me, but I chose you and appointed you that you should go and bear fruit” (NKJV). Part of this quarter’s Thirteen Sabbath Offering will help provide a community center in Lyubov’s home town of Rostov-on-Don that will help other people learn about Jesus.